This entry was posted in Cosmetics, Facial Care, Korean Stuffs, Shopping and tagged Holika Holika, Korean Products, Korean Skin Care, Missha BB Cream, skin care. Bookmark the permalink. Hi Sis! Thank you for the wonderful feedback! Someone ordered from me already because she read your blog! This means a lot to us! Godbless! Beauty product haul, yay! I just wish my skin is not very sensitive so I can try all of the beauty products available. ooo very nice!!! You should do a review once you have used it! It's not that you're a parent well if you do not! But we tend to tune a lot in our lives crowded. nice! 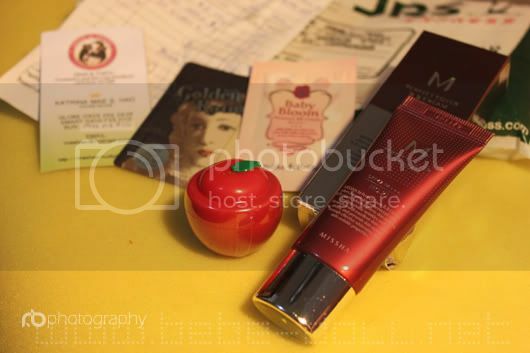 sis, as everyone had said, you should do a review very soon..
Awww ^-^ I love the little apple overnight mask. It looks so cute! It almost looks like it could be a chapstick or something. I admire your blog there, it was awesome! I do love your product too! Hi, At the outset I would like to thank you for your efforts in writing the article. Helped me and many things became clear to me. Especially those contained in this article ->% BLOGURL%. Will place a link on their website – link probably will give the name:% BlogTitle% to my friends with it zaciekawili. And I have many friends who are interested in computers and everything associated with them.Yours% NAME%.